On the heels of the previous post about Olivia Wilde, who would like to refocus the obsessive attention away from the Kardashians, and on to humanitarian issues, it seems that some of that media focus is not in vain. If you are “keeping up with the Kardashians”, you know that they are also using their platform to draw attention to some of the important things in life. Kim Kardashian lost her father, the late Robert Kardashian, to esophageal cancer, and is continuing the aggressive fight against all cancers. 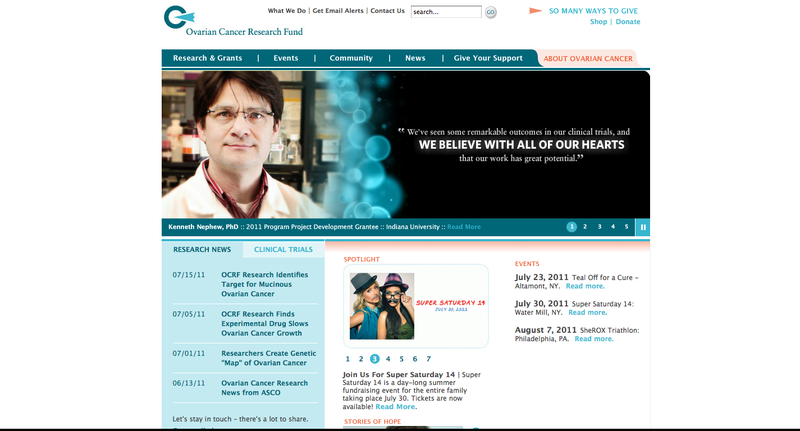 Kim is collaborating with the home shopping channel, QVC, in order to spread the word on Ovarian Cancer Research. On what QVC is calling “Super Saturday”, Saturday, July 30th, 2011, between 2PM and 4PM Eastern Time, vendors will discount their designer items by 50%, and the net proceeds will go to the Ovarian Cancer Research Fund (http://www.ocrf.org). Although there are tests that are available to detect who is at a higher risk for the disease, ovarian cancer is one of the most difficult cancers to detect. I think one of the things people need to do more of is ask their doctors more questions. We tend to sometimes feel rushed or that we don’t want to impose. Others feel they are invincible and they don’t need to ask any questions. The numbers are real. The silence with which this disease can creep up on a person is real. That is why it’s so important to learn more about the disease, take care of yourself and see your doctor regularly, with open communication.